So,to promote this blog, I have become a Tweeter. Though I was not interested in Twitter for many years, I now find it’s kind of fun. 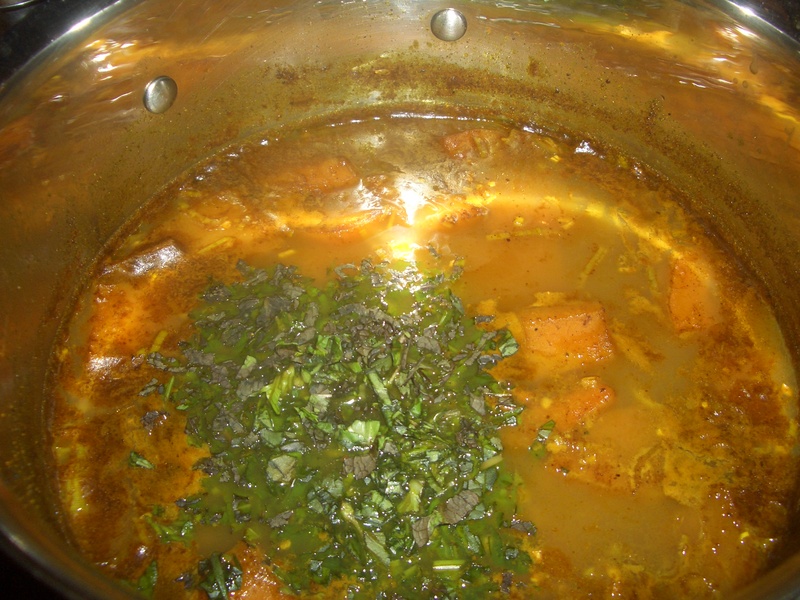 One day while perusing the various tweets, I came upon one by Ricki Heller (whose tweets I generally find interesting) that you can read here: http://www.rickiheller.com/2014/06/9-common-herbs-spices-that-reduce-inflammation/ As I read the article I kept thinking, these are all fairly compatible flavors and I can probably do something with them. 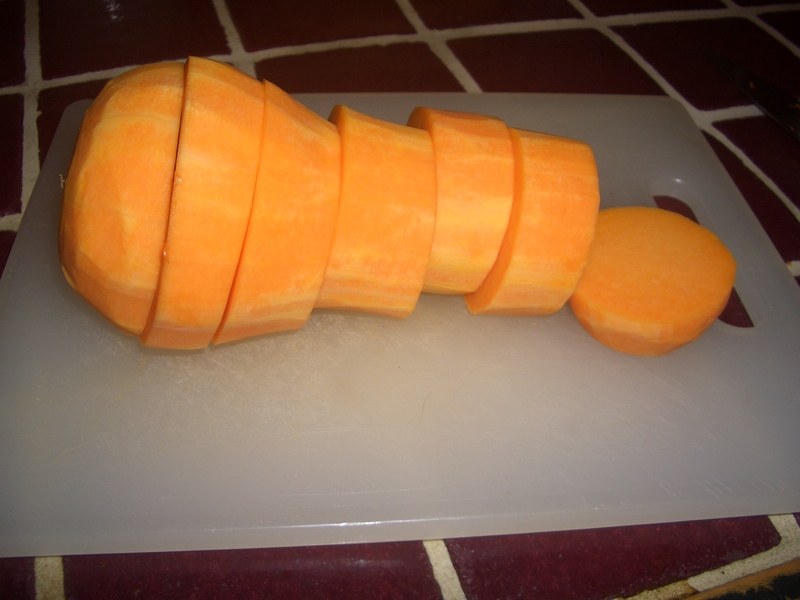 And so began this soup. First let me talk a little about what I’ve learned about an anti inflammatory diet (but am not an expert on). I’m doing this in italics so those of you not too interested can just skip over it. Many experts in the health field agree that inflammation in the body causes/leads to a vast array of illnesses ranging from heart disease to diabetes to Alzheimer’s to cancer to chronic pain to arthritis, Parkinson’s, aging, and the list goes on and on. For me, following the Paleo/Perfect Health Diet (both anti inflammatory diets) has resulted in: much more energy, clearer thought processes, better moods, less aches and pains, smaller tummy, and general sense of well being. A friend of mine was suffering from such severe neck pain he was on the verge of having surgery. After switching to an anti inflammatory diet not only did he not need surgery but the neck pain is gone completely. These are pretty impressive results. 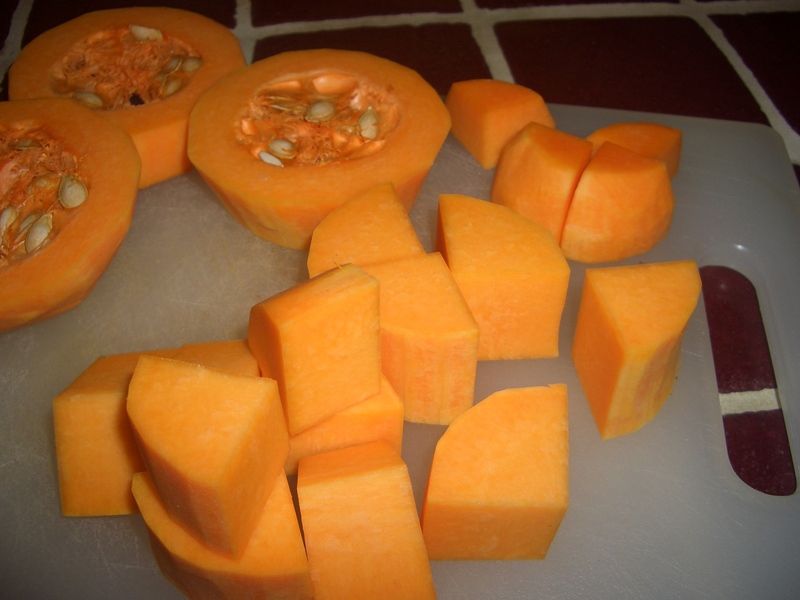 Paleo, Primal, Caveman, and Wheat Belly and Perfect Health Diet (PHD) tend to agree on the basic theory that all grains, beans, and sugar (and processed foods in general) should be eliminated from the diet. PHD varies in that it allows white rice and considers it a “safe” starch. The others vary in how much dairy is or is not allowed and other details. Most agree that the best oils to use are coconut and olive. Dr. Andrew Weil‘s diet is pretty different. He created an updated food pyramid that also is supposed to be anti inflammatory but does not eliminate grains and soy. 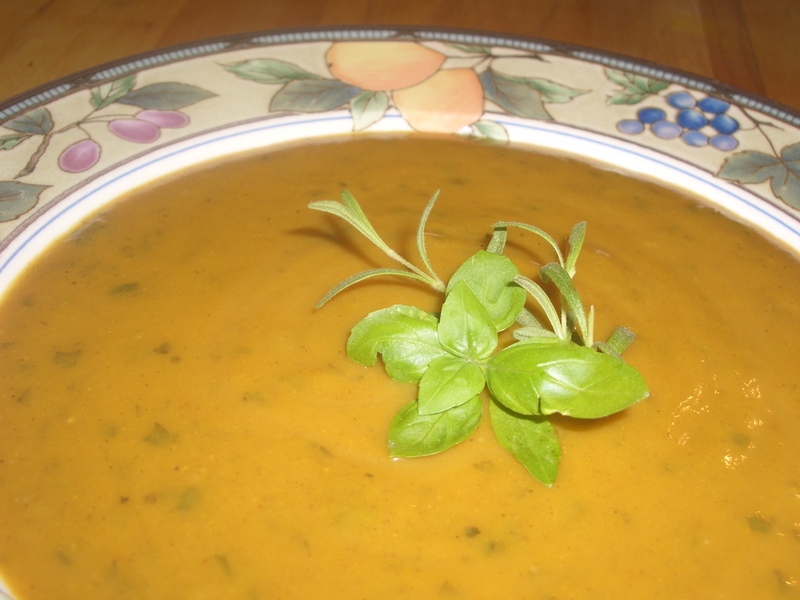 Back to food…I initially tested this soup using carrots – and it came out delicious, but I was curious how it would work with butternut squash and it was also delicious. 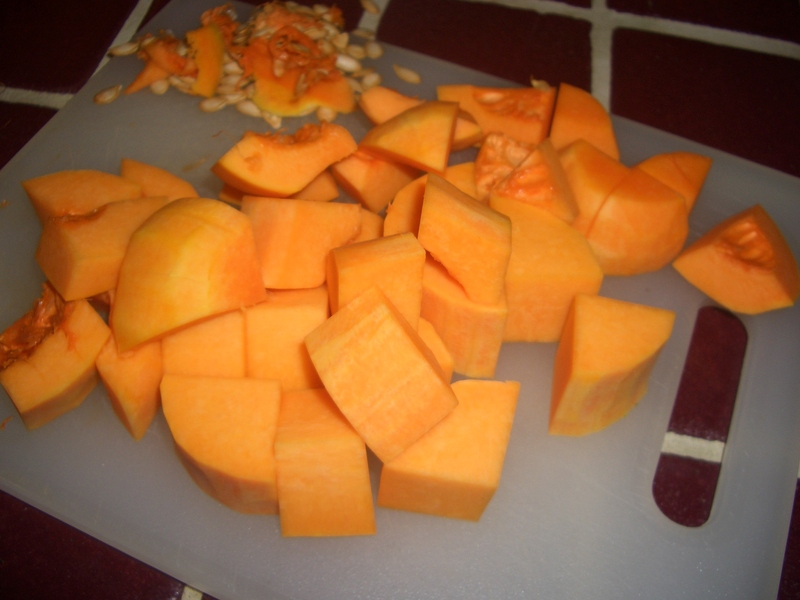 I chose the squash because it is more anti inflammatory than the carrots (had a better omega 3 to omega 6 ratio). 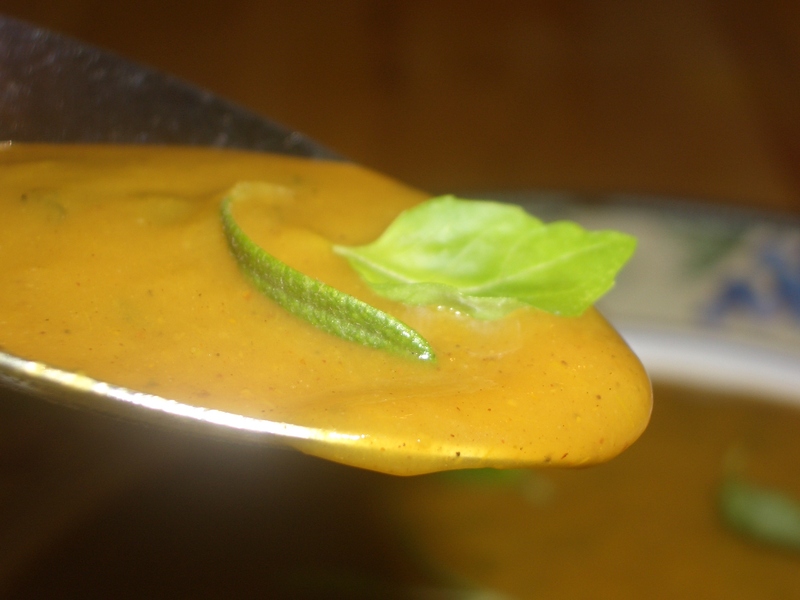 Several people have tasted this soup and all have wanted the recipe – so here it is. Enjoy it in Good Health! 2. 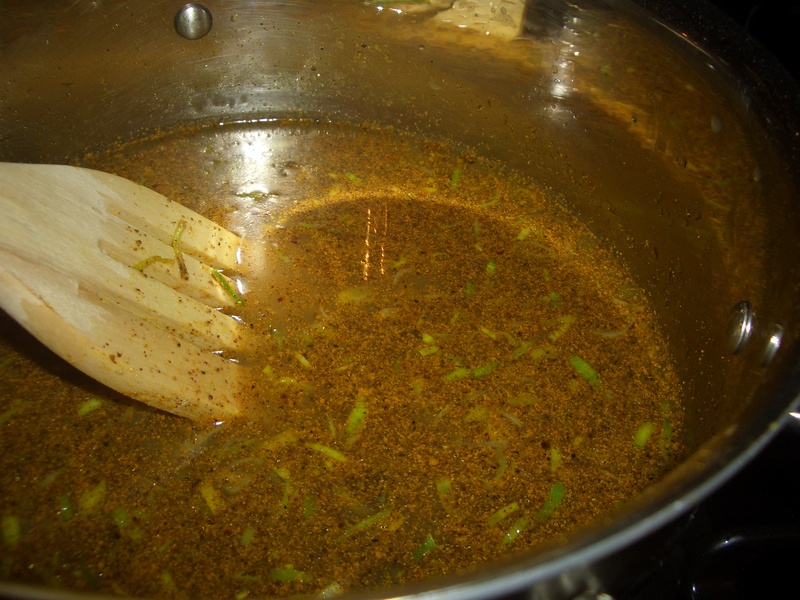 In a 4-quart saucepan, heat the oil over medium high heat. 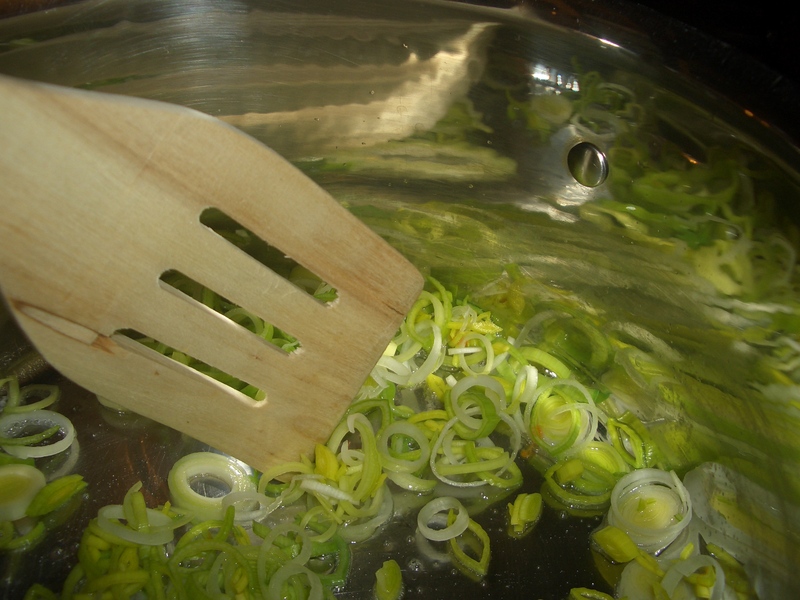 Add the leeks and garlic and cook, stirring until softened, about 2 minutes. 2. 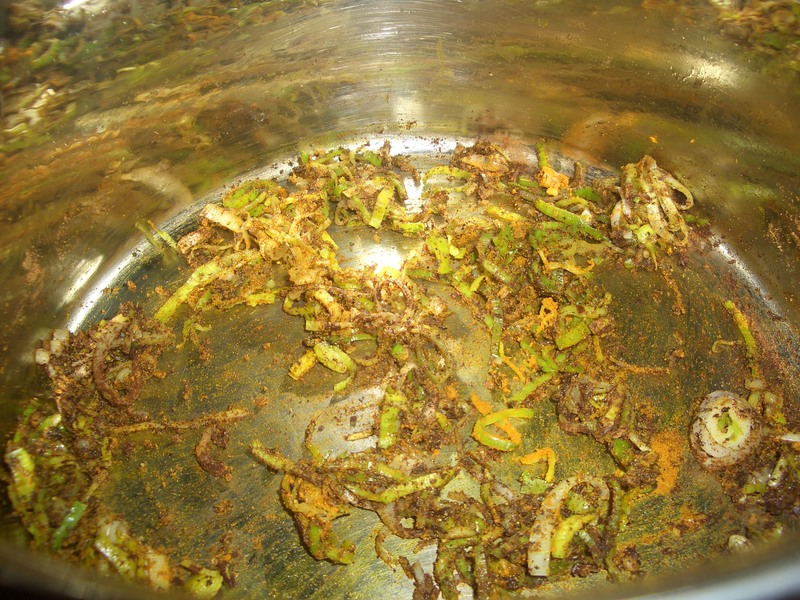 Remove from heat and stir in the turmeric, ginger, cinnamon, cumin, cloves, and black and/or red pepper until absorbed. 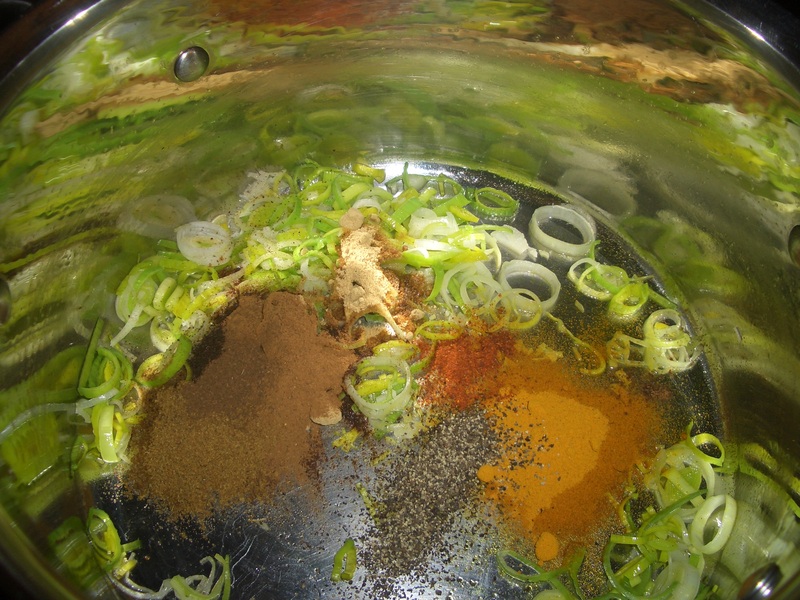 Add the broth and stir, making sure to incorporate the spices that may stick to the bottom of the saucepan. Bring to a boil. 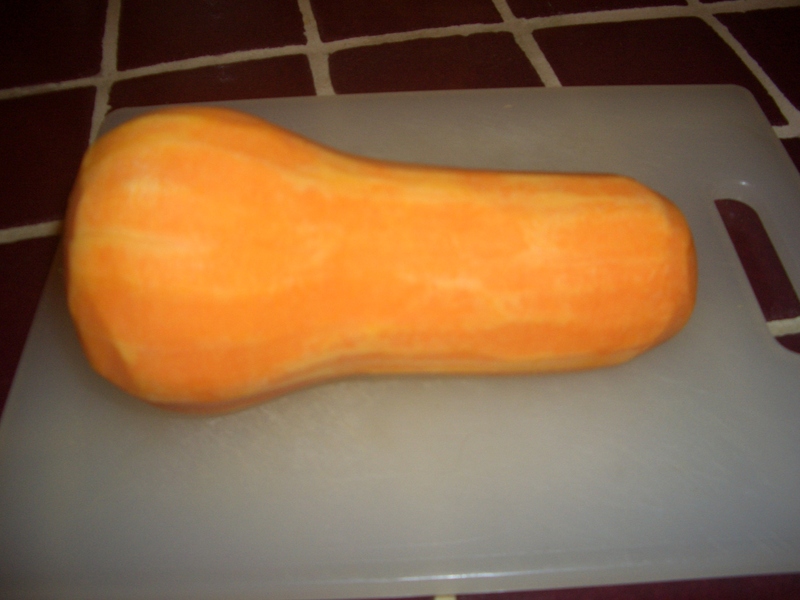 Add the squash and return to a boil. 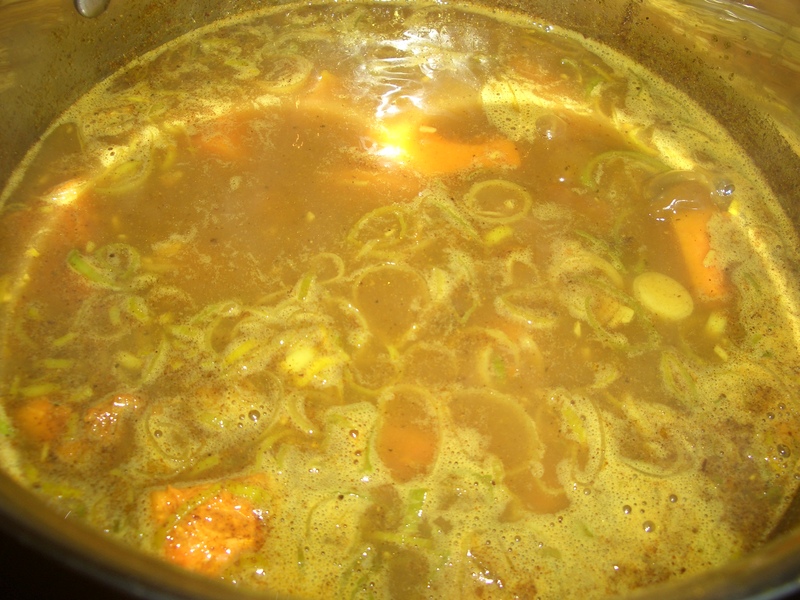 Reduce heat and simmer, covered, 20 to 30 minutes or until squash is tender. 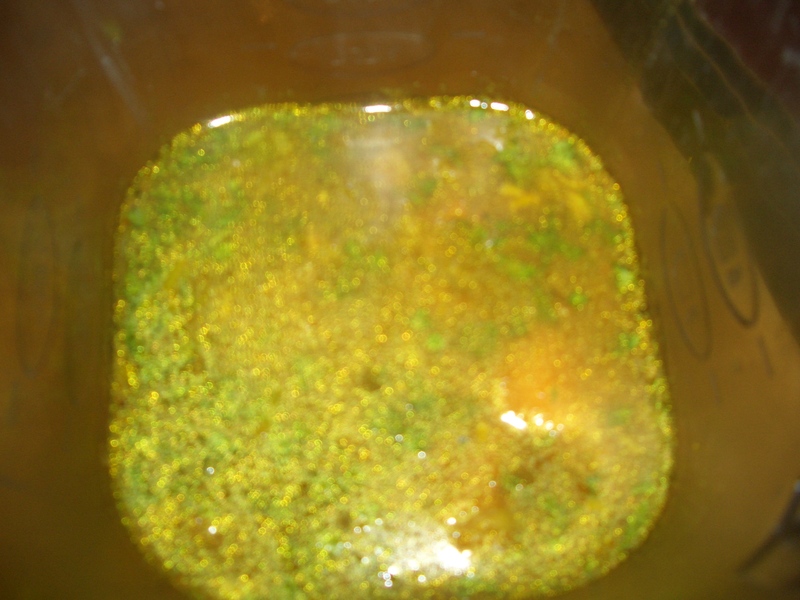 Stir in the mint, basil and rosemary. 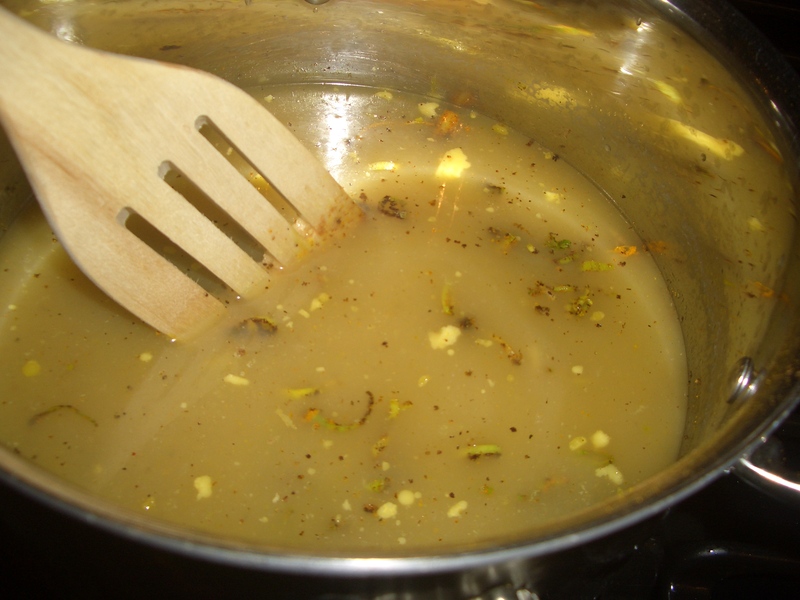 Simmer 5 minutes longer. 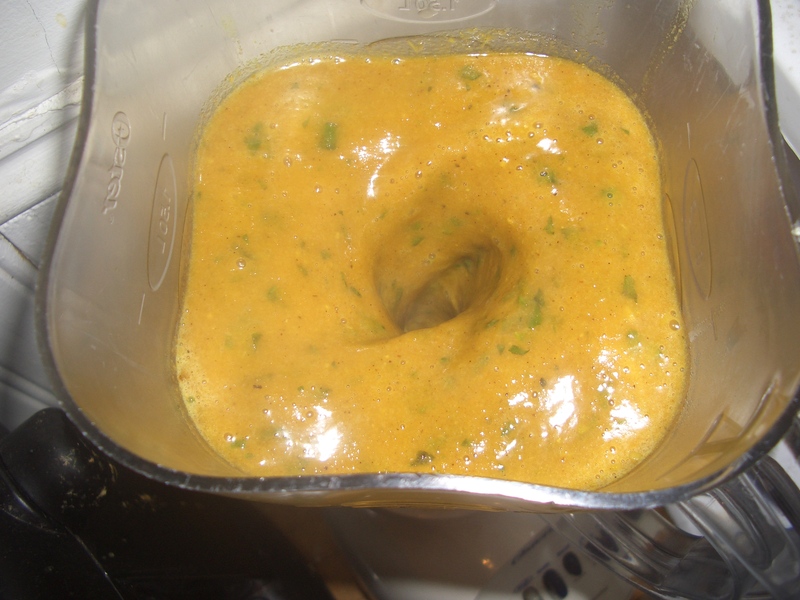 Place soup in food processor or blender and process until smooth. 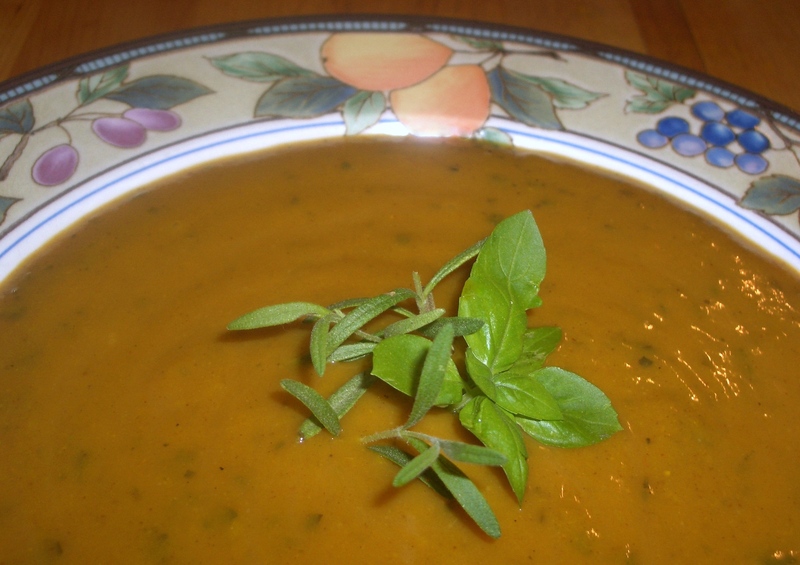 Pour into bowls and garnish with herbs, if desired.